Ford’s top dealers got a sneak peek at a prototype 2020 Ford Bronco last month, and the details—revealed by participants to Automotive News—sound glorious. Some highlights: The Bronco will be available with two or four doors, it will have a removable top and doors, and it will be part of a new family of off-road vehicles. We’ve been waiting for the 2020 Ford Bronco since The Blue Oval brand revealed at the 2017 Detroit Auto Show that it was reviving the iconic nameplate. And while details of the upcoming off-roader have been scarce—save for a teaser, an apparent mule, and some info from sources claiming to have knowledge on the project—we’ve now got juicy information thanks to reports from folks who attended what Automotive News describes as a “gathering of [Ford’s] top-selling dealers” in February. I was concerned that the Bronco might only come in four-door guise, since Americans have voted with their wallets against two-door trucks and SUVs (crew cab pickups dominate the market, and the Jeep Wrangler two-door doesn’t sell in nearly as high of volumes as the four-door). So this is great news, as I think a two-door has potential to look epic—and indeed, two dealers who spoke with Automotive News gave the two-door Bronco prototype they saw rave reviews. Another revelation from this dealer meeting is that Ford is allegedly building a “’family’ of rugged off-road vehicles” according to Automotive News’ sources—a family that will include the two and four-door Bronco (set to launch in late 2020), the Baby Bronco (set to come out a few months prior to the Bronco), and a “small unibody pickup” (set for 2021 or later). The article specifically mentions that Ford didn’t call it an off-road “subbrand,” but I really don’t care how the company wants to package it—all I want is more vehicles with true off-road potential. And ideally, I want those vehicles to have doors and tops that come off. Retro styling is also a plus. 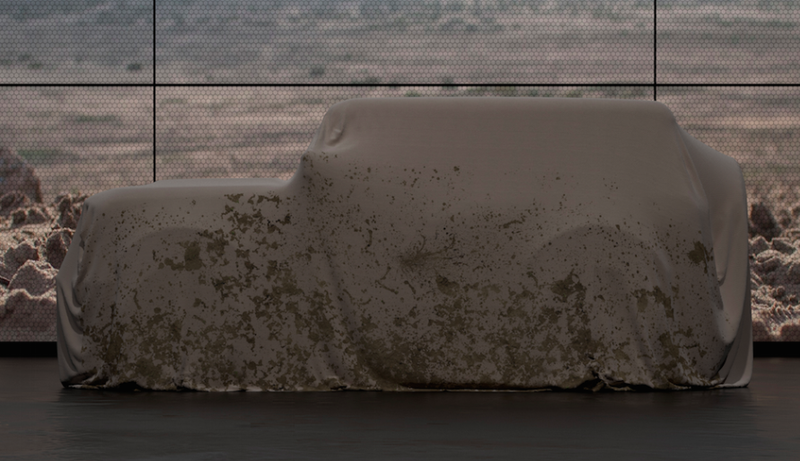 God I can’t wait for the new Bronco. Oh, and if you’ve seen it or have pics, hit us up here.